Launching new schemes, for development of poor and backward communities are not uncommon. 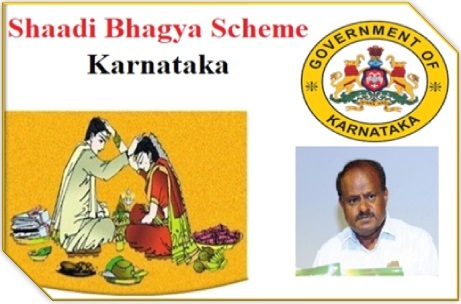 In 2013, Karnataka government announced that it will offer financial assistance to marriageable female candidates who are not from economically sound families. This developmental scheme was called Shaadi Bhagya Scheme or Bidaai Scheme. Mass marriages will be conducted for implementation of this scheme. Development of minority women – Arranging adequate funds for marriage purpose may not be an easy task for the people belonging to poor sections. Karnataka state authority will offer financial assistance to such poor minority families, to ensure that marriage costs are covered. Financial assistance – All applicants will receive a total of Rs. 50,000 from Karnataka state government. Money in bank account – All financial transfers will be made via bank account. Thus, it is mandatory for all female applicants to have a bank account in their names. Organization of mass marriages – The state authority has decided that it will organize mass marriages in each district. It will allow the authority to complete the list of pending candidates quickly. It will be the responsibility of District Development Office to scrutinize applications and organize these mass marriages. Residential criterion – As the scheme will be funded by state government, only those female applicants will be able to submit their applications that are legal residents of Karnataka. Age related criterion – Only those female candidates will be able to apply for this scheme that have completed the age of 18 years, and the age of the groom must be 21 years at least. Income related criterion – It has been stated that the family income of these female applicants must not cross the 1.5 lakh mark on a yearly basis. Financial back ground of brides – Only applicants who come from weaker financial backgrounds will be allowed to enroll themselves under this project. Only those female candidates can apply who fall below the BPL line. Caste related criterion – Only female applicants, who belong to minority caste will be able to apply for this unique scheme. Women from sikh, Christian, muslim, Buddhist and other communities will be able to get the perks of this scheme. Widow and divorce candidates – It has been clearly mentioned in the scheme draft that the state government will offer the same financial benefits to those women who were married earlier, but are no longer with their partners due to divorce or husband’s death. If these candidates desire to remarry, then can apply for this financial benefit. Residential certificate – As only legal residents of Karnataka will be able to enroll under this scheme, applicants must possess residential papers. This certificate must be submitted with their application form. Age certificate – As all female candidates must be 18 years or above, and their grooms need to be 21 years or above, age certificates of both girl and boy must be furnished along with the application document. Caste certificate – As the scheme will allow only minority candidates to get this financial benefit, they have to submit their minority caste certificates. BPL certificate – All applicants must possess their BPL cards. They have to attach a copy of this card with the application document. Income certificate – As there is an income related criterion, applicant needs to attach a formally issued income certificate of her family. Aadhar card – Applicants and their grooms need to offer a clear photocopy of their Aadhar cards. Bank account details – The funds will be transferred to the active bank account of the bride. Thus, one has to provide bank account details with the enrollment form, so that the state government can transfer the money accordingly. Recent photograph – Applicants need to attach hers as well as the grooms recent passport sized snap on the application form. Interested applicants can collect their application forms from the Karnataka Minority Welfare Department or the District Development Office. After collecting the application forms, applicants need to fill it up with all relevant details. They have to provide their personal and residential details. The groom’s name, age and address must be mentioned in the application form as well. It will allow the authority to conduct checks. Applicants need to highlight their bank account details as well. Once all fields have been filled in with correct information, applicants must recheck the enrollment form to eliminate any errors. After this, applicants need to attach all necessary documents with the registration form. This form needs to be submitted in the Minority Welfare Department. It can also be submitted to the office of District Developer who will send it to the respective department. With schemes like this, Karnataka state authority will be able to ensure the development of entire backward communities. It will not only offer financial help, but will offer applicants the boost they need to start their new life.